Browse: Home » Listings » BUILD » Lee’s Precast Concrete, Inc.
Lee’s Precast Concrete Inc. has been family owned and operated since 1977. 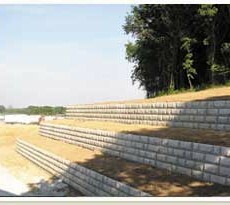 We are one of the largest precast concrete manufacturers in Mississippi. Lee’s Precast produces catch basins & box culverts for the drainage markets, wastewater treatment plants, septic tanks, and grease traps for the environmental markets. We also manufacture Safe Rooms and Storm Shelters for above and below ground applications. Lee’s Precast highly skilled team will work diligently with you to provide the most durable concrete structures to meet your needs, delivered on time and built to exceed your expectations.